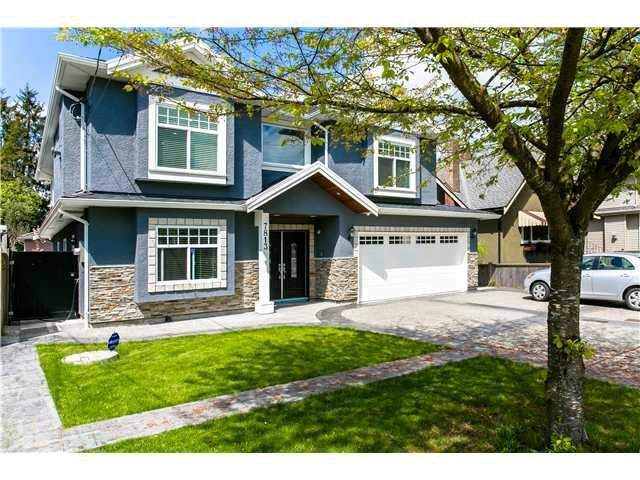 No GST custom built one year home lociated in prime area of East Burnaby. Quiet neighbourhood close to schools & transportation. 5 minute drive to Metrotown facing south. 7 bedrooms, 6 baths, large master bedroom with ensuite. Central airconditioning. Potential for 3 suites downstairs. Maple kitchen with granite countertops, stucco, double car garage, lots of parking at front. Ready to move. All measurements are approximate. Call for more info.